TH&H MDF Catalog We have updated our MDF Catalog and added over 20 new profiles to stock. 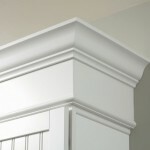 Stocked moldings are indicated in the catalog. Non-stock moldings are available in 1-3 days.